Upmarket Royal Dragon Vodka has been named official drinks partner of the London Club & Bar Awards 2015. The brand, a “small batch” five-times distilled vodka, will be the main partner of this year’s London Club & Bar Awards held on 8 June at The Intercontinental Hotel, Park Lane. Established 21 years ago, the event bring together club and bar owners, promoters, DJs, event organisers and venue managers at a glittering ceremony to recognise the best in the on-trade and nightlife industry. The entries and winners from each category are based on decisions made by club goers and a committee panel involving national newspapers and media partners, and “key social connoisseurs”. 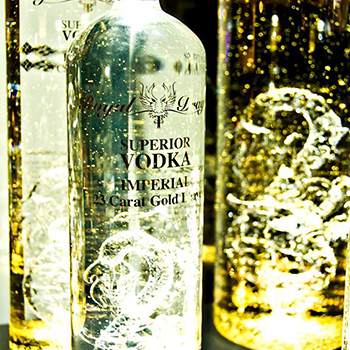 Guests will be served an array of drinks showcasing Royal Dragon Vodka, including an Imperial variant containing 23-carat Swiss gold leaves and flavoured bottlings such as Passion Fruit, Lychee, Chocolate, Watermelon and Green Apple.